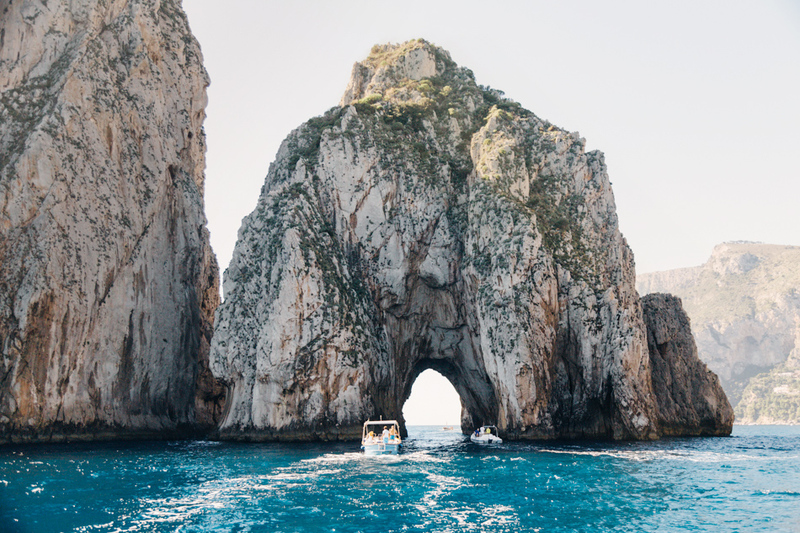 Experiencing Capri from upon the sea is nothing if not alluring, something I’ve now had the chance to learn for myself. 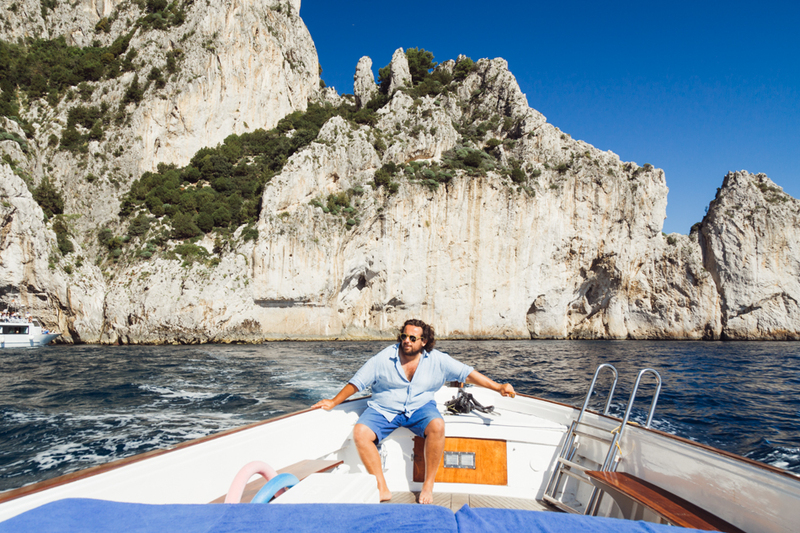 In October, my boyfriend and I had the pleasure of a private boat tour from a wild-haired Italian sailor named Gianni who loves being on the water and knows every detail of the island’s history. I’m guessing that he would be out there on his boat even if he didn’t have customers. 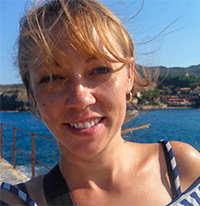 From the padded sundeck of Gianni’s traditional wooden boat called a gozzo we set sail with glasses of wine in hand. We sailed in awe past towering limestone cliffs, rugged steps that plunge into the sea, Roman ruins, half a dozen small caves and of course the magnificent green and blue grottoes in which the waters sparkled like vibrant gemstones. From our sailboat perspective the island was nearly empty—it could have been another era entirely. 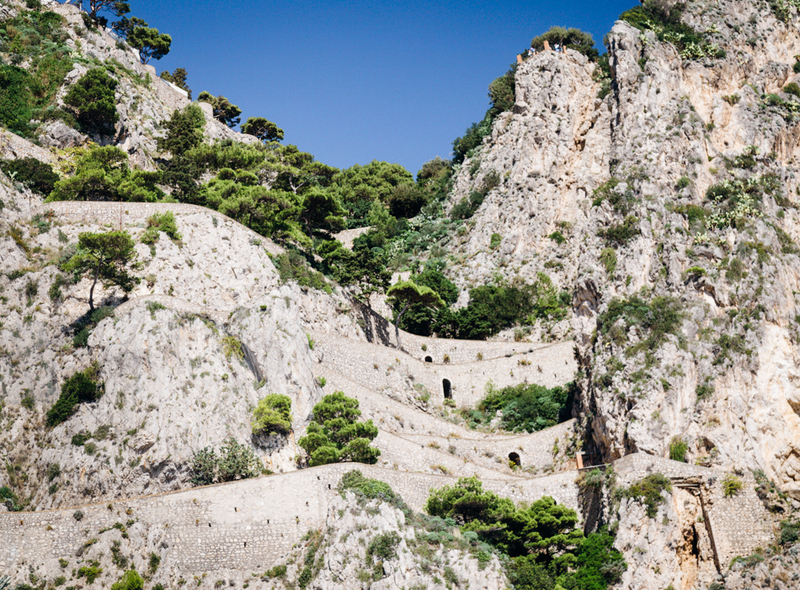 I felt as though we were artists or writers from the mid 1900’s in search of inspiration from the famed Isle of Capri. One particular spot (Marina Piccola, the little harbor) captured my heart and we were dropped off for a brief exploration. It is here which I decided to call home for the rest of my Italy trip in a beach cottage rental with views of the famous Faraglioni rocks. 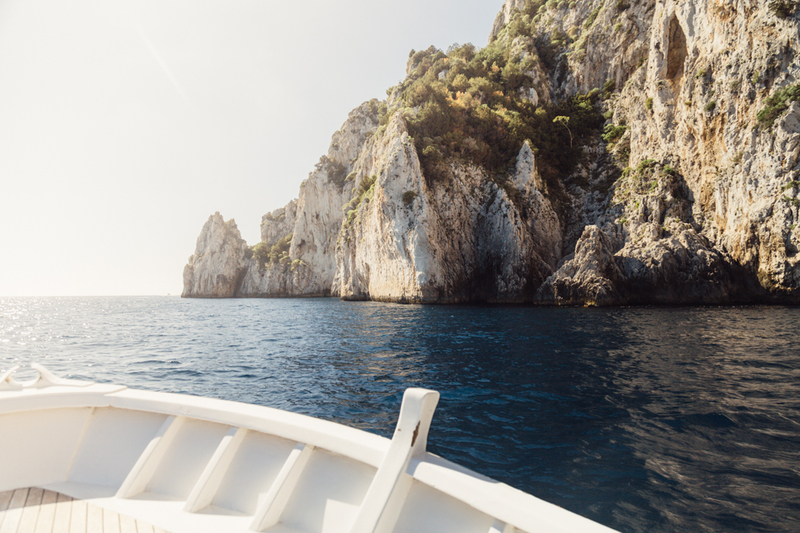 If you find yourself planning a trip to Capri look up Gianni’s Boat Tours who will tailor a boat tour to your interests, schedule, and of course your spontaneity. 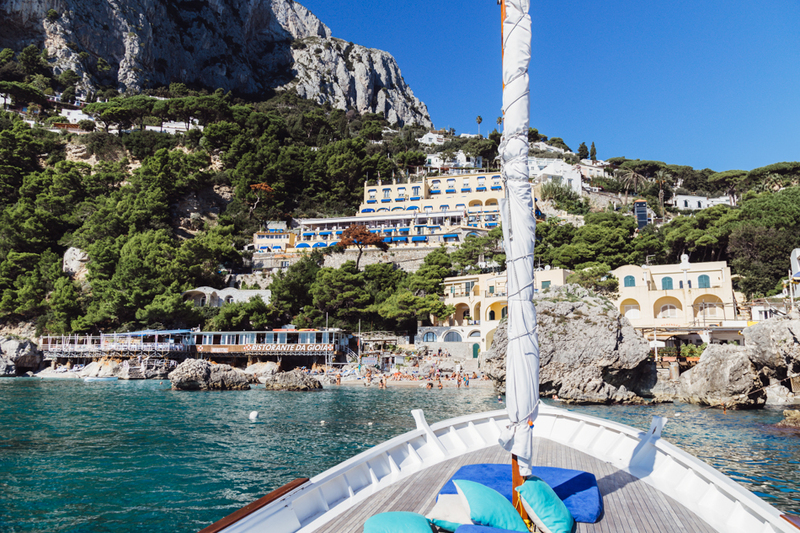 There is no doubt this far surpasses the large tourist-packed boats taking people around Capri every hour, so take advantage of it. As always, thank you for reading. 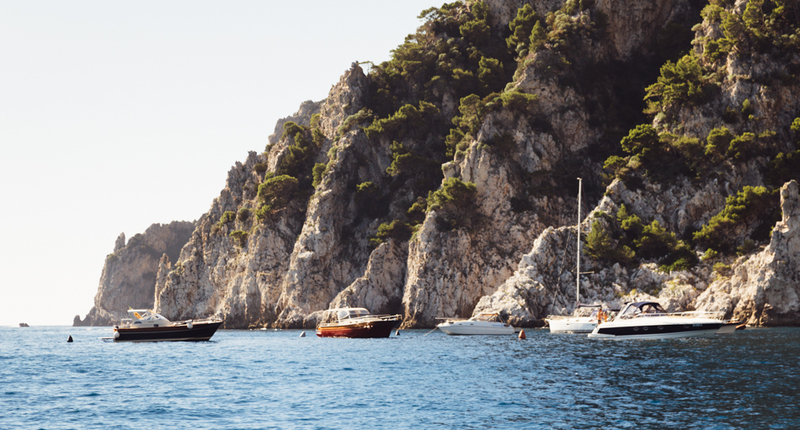 Capri’s rugged limestone and sandstone rocks could be a mediterranean step-sister of Kauai’s Na Pali coast. 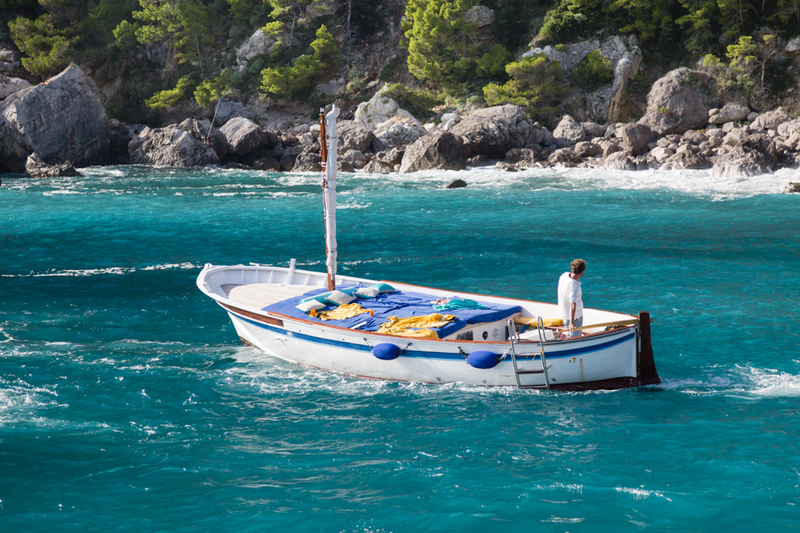 It’s easy to rent a small boat on your own, like these Italians who are on holiday in Capri. 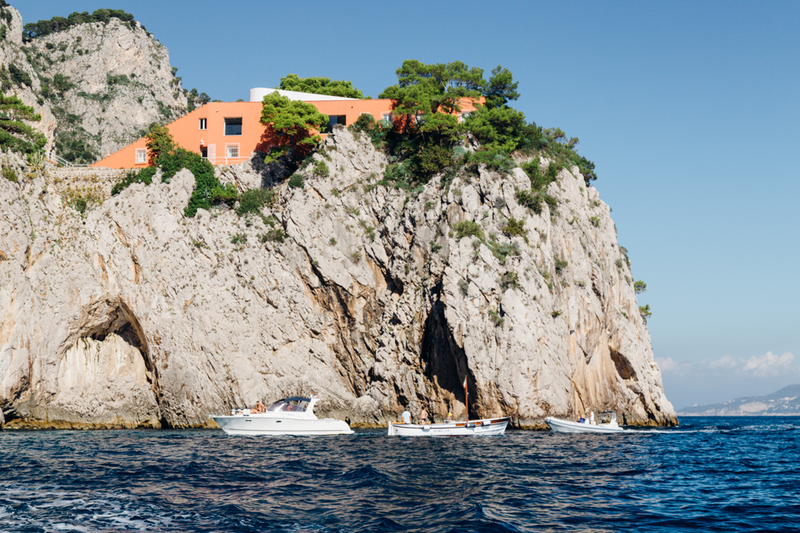 The red house Casa Malaparte is a fine example of Modern and Italian architecture. You may recognize it from the 1963 film Le Mépris starring Bridgette Bardot. 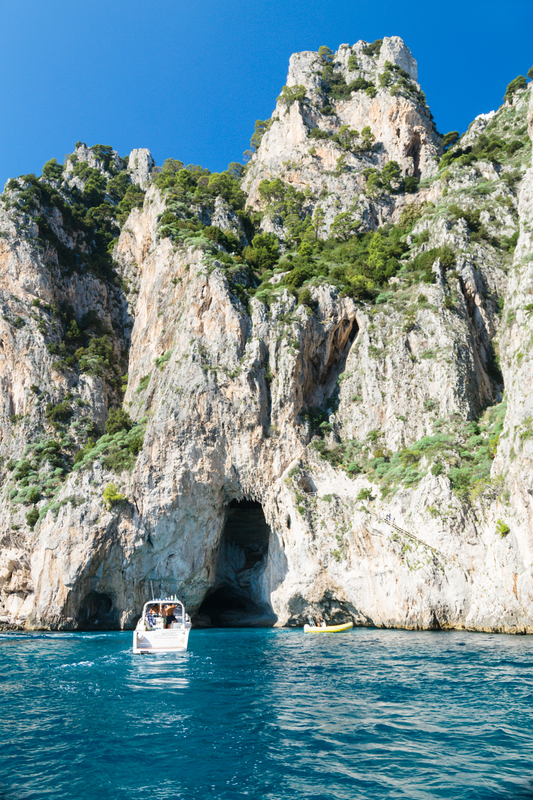 Capri’s limestone cave known as the White Grotto (Grotta Bianca) has stalactites which hang above the entrance, and with Gianni’s private boat you can experience all of the caves at your own pace. 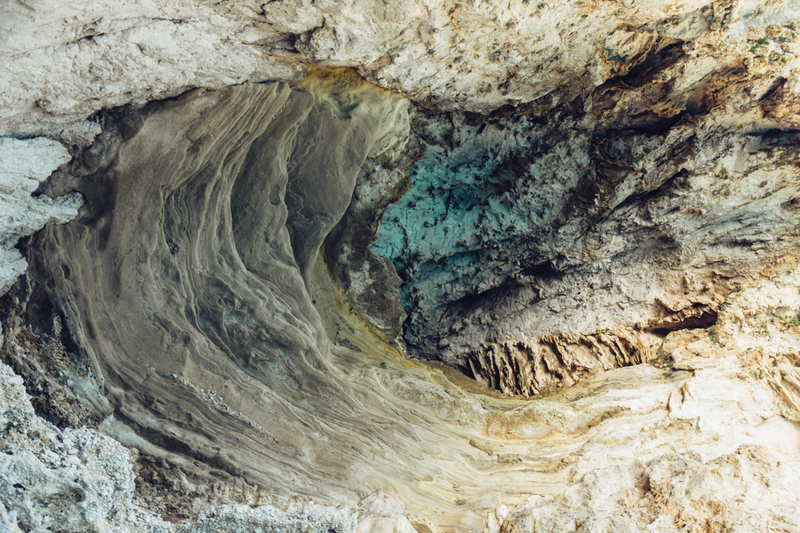 The upward view inside the White Grotto reveals colorful patterns of calcareous matter and is much more large than is visible here. 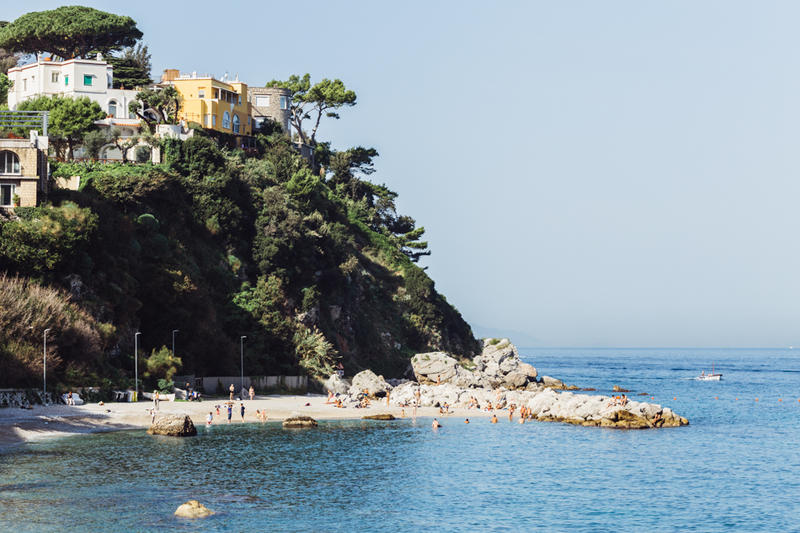 Marina Piccola, the little harbor, is home to three small beaches and several cafes and restaurants. 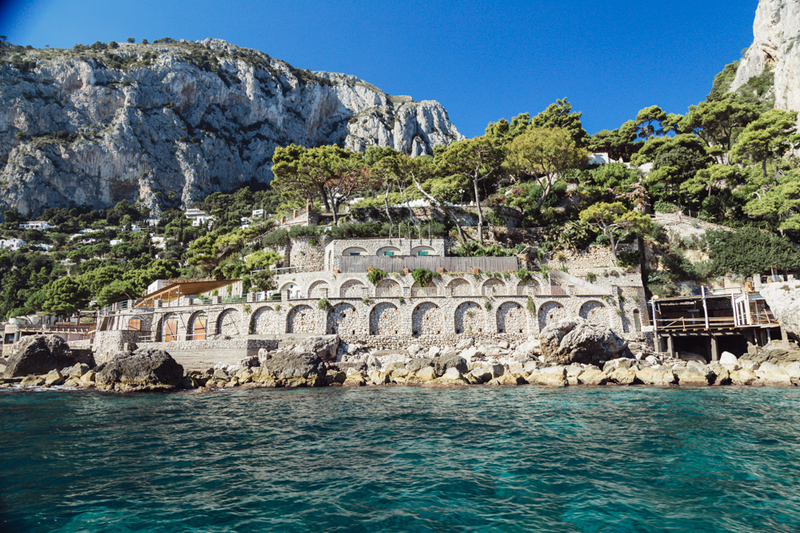 Stone arches near Marina Piccola are reminiscent of ruins, but perhaps they are part of a vacation home or beach club. 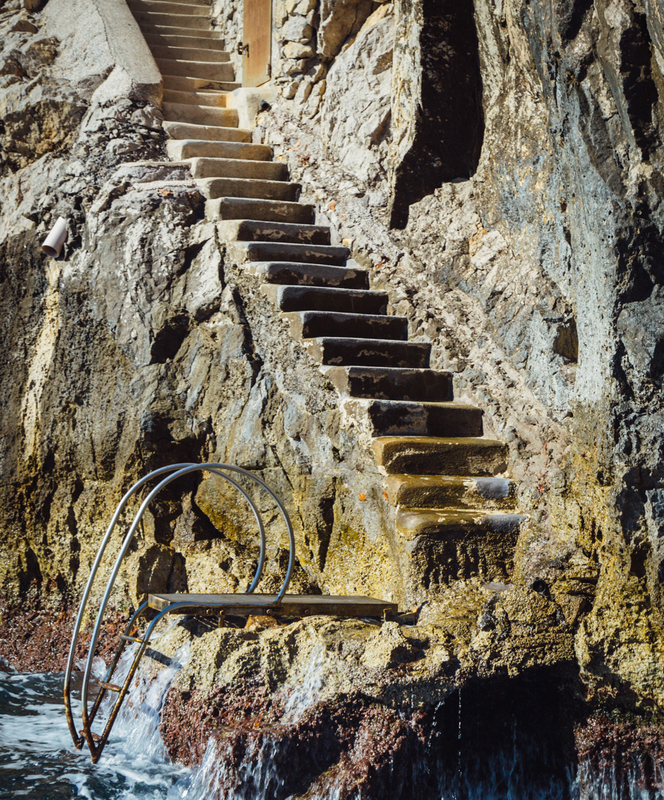 Via Krupp, Capri’s famous zig-zag pathway was finished in 1902 and is still one of the most scenic foot paths on Capri. 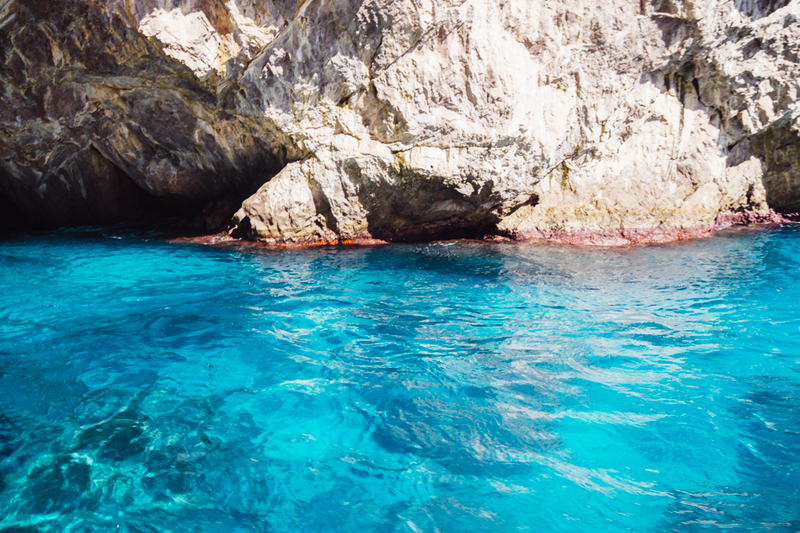 Capri’s Green Grotto (Grotta Verde) shines like a gemstone due to the sun reflecting off the stones below the sea. Faraglioni di Mezzo is one of the three famous rock formations known as the Faraglioni and Gianni’s boat took us right through the middle of it! Even late October seems a good time to enjoy the small beach adjacent to Marina Grande, the main port where the ferries arrive to Capri. 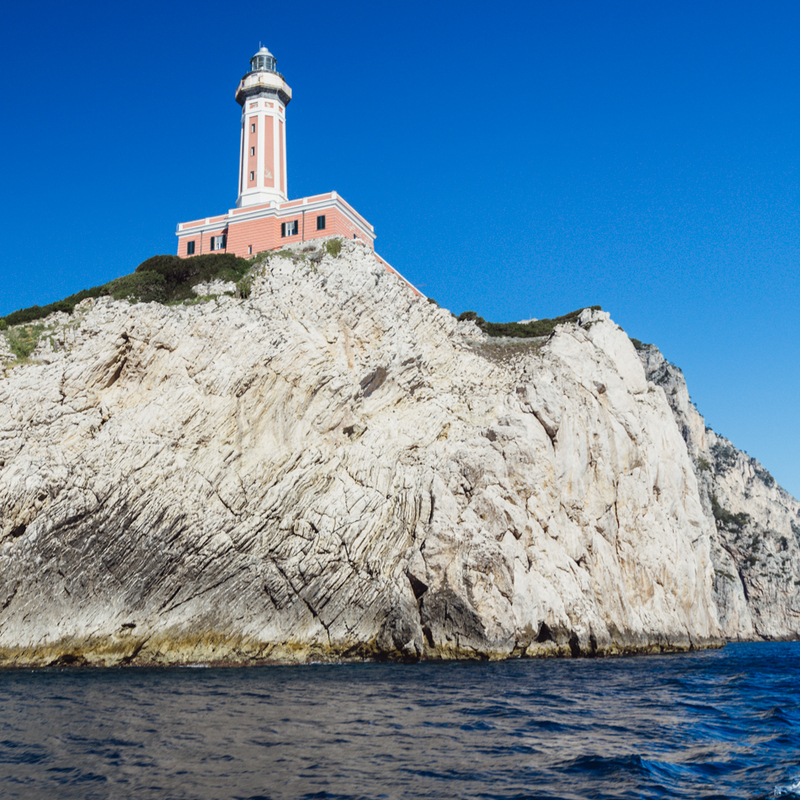 The Punta Carena Lighthouse on Capri is the second-tallest in Italy and dates back to 1866. You can actually sit on the rocks up there and watch the sunset or enjoy the beach cove, Il Faro, which some locals say is the best swimming spot on the island. 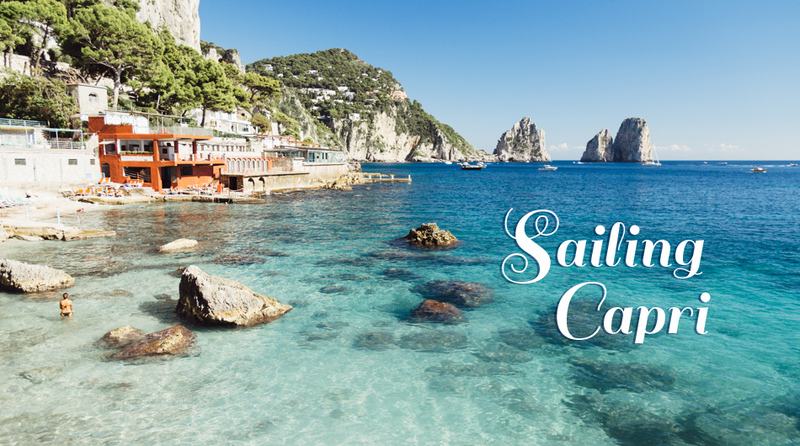 Gianni the sailor spends each day doing what he loves most, navigating Capri’s waters and showing them off to his guests. 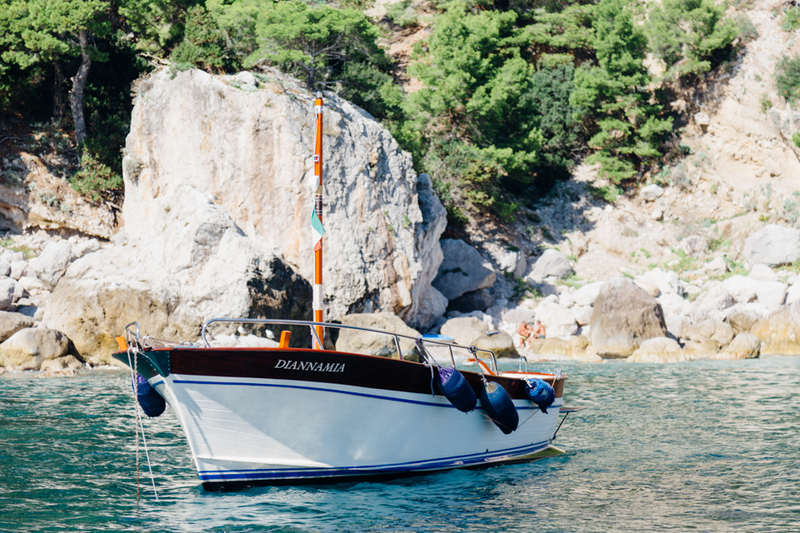 Gianni’s boat passes time while his guests enjoy a swim near Marina Piccola. 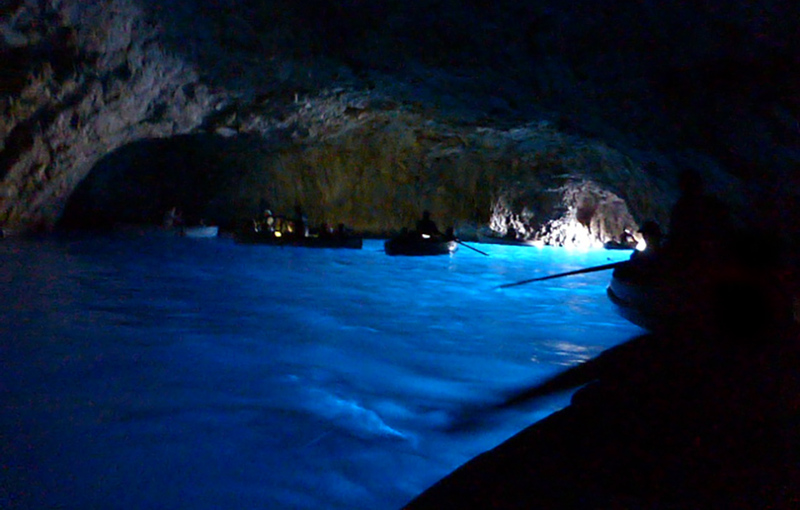 Capri’s Blue Grotto dazzles with its illuminating blue waters. It draws a steady stream of tourist-filled boats and wait lines that can often exceed one hour. Due to the very small cave opening, visitors must get transferred to row boats to explore inside 60 meter long cave.